Facebook Invading Your Privacy: A billion people worldwide use Facebook to share details of their lives with their friends. Trouble is, they also might be unintentionally divulging matters they consider private-to fiends…coworkers, clients and employees marketing companies and even competitors, scammers and identity thieves. 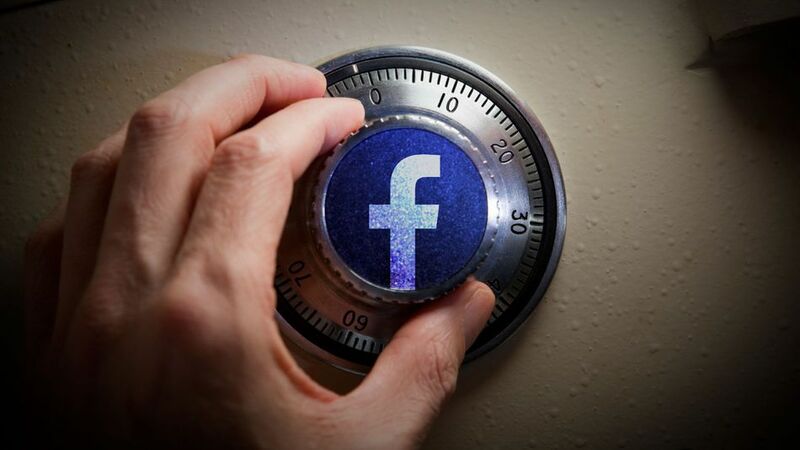 Six ways Facebook could be compromising your private information and how to protect yourself? 1. The new Timeline format exposes your old mistakes. Timeline, introduced in late 2011, makes it easy for people to each back through your old Facebook posts, something that was very difficult to do in the past. That could expose private matters and embarrassing photos that you’re long since forgotten posting. What to do: To hide Timeline posts that you do not wish to be public, hold the cursor over the post, click the pencil icon that appears in the upper-cornet, then click “Hide from Timeline” or “Delete”. 2. Facebook Apps steal personal details about you! Third-party apps are software applications available through Facebook but created by other companies. Theses includes games and quizzes popular on Facebook such as FarmVille and Words with Friends, plus applications such as Skype, TripAdvicer and Yelp. Most popular Facebook apps are free-the companies that offer them make their money by harvesting personal details about users from their Facebook pages, then selling that information to advertisers. Many apps collect only family innocuous information such as age, hometown and gender that probably is not secret. But others dig deep into Facebook data, even accessing inforamtion that you may have designated private, such as religious affiliation, political leanings and sexual orientation. 3. Facebook “Like” buttons spy even when you don’t click on them. Each time you click a “Like” button on a website, you broadcast your interest in a subject not just to your Facebook friends but also to Facebook and its advertising partners. But if you’re a Facebook user and you visit a web page that has a “Like” button, Facebook will record that you visited that page even if you don’t click “Like”. Facebook claims to keep web-browsing habits private, but there’s no guarantee that the information won’t get out. What to do: One way to prevent Facebook from knowing where you go online is to set your web browser to block all cookies. Each browser has a different procedure for doing this, you will have to reenter your user ID and password each time you visit certain websites. Alternatively, to eliminate cookies created during a specific browser sessions, you can use the “Inplrivate Browsing” mode (Internet Eplorer), “Incognito” mode (Chrome) or “Private Browsing” mode (Firefox and Safari). 4. “Social readers” tell your Facebook friends too much about your reading habits. Some sites, includes The Washington Post The Huffington post, offer “social reader” Facebook tools. If you sign up for one, it will tell your Facebook friends which articles you read on the site. Problem: The tools don’t share articles with your Facebook friends only when you click a “Like” button they share everything you read on the site. What to do: If you’re signup for social reader app, delete it. Click the lock icon in the upper-right-hand corner, select “See more settings” then choose “Apps” on the left. Locate the app, click “X” and follow the directions to delete. 5. Photo and video tags can hurt you. This could let others see you in unflattering and unprofessionals situations. If you work for a strait-laced employer or with conservative clients or you are in the job market, you already may realise that it’s unwise to post pictures of yourself in unprofessional and possibly embarrasing situations. But you may fail to consider that pictures that other people post of you also can hurt you. A Facebook feature called photo tags has dramatically increased this risk. The tags make it easy for Facebook users to identify by name people in photos they post, then link those photos to the Facebook pages of all users pictured. What to do if facebook invading your privacy: Untag yourself unflattering photos. Hold cursor over the post, and click the pencil icon, Select “Report/Remove Tag” then follow the directions to remove tag. Enable review of all future photos you’re tagged in before they appear on your Timeline. Click the lock icon in the upper right, then “See more settings” select “Timeline and Tagging” Then click “Edit” next to “Review Posts friends tag you in before they appear on your Timeline” and click “Enabled” on the drop-down menu. 6. Your Facebook friends and those friends of friends may reveal too much about you. Even if you’re careful not to provide sensitive information about yourself on Facebook, those details could be exposed by company you keep. Example. A 2009 Massachusetts Insitute of Technology study found it was possible to determine with great accuracy whether a man was gay. This was based on factors such as the percentage of his Facebook friends who were openly gay even if this man did not disclose his sexual orientation himself. If several of your Facebook friends list a potentially risky or unhealthy activity, such as smoking or barhopping, among their interests or includes posts or pictures of themselves pursuing this interest an insurer, collor admissions officer employer or potential employer might conclude that you likely enjoy this pursuit yourself. What to do if facebook invading your privacy: Take a look at the interests and activities you were mentioned on Facebook. If more than a few of them discuss a dangerous hobby, glory in unprofessional behaviour or an open about matters of sexual orientation or political or religious beliefs that you consider private, consider removing most of those people from your friends list or at least make your friends list private. Click your name in the upper right, then click “Friends” then “Edit” and select “Only me” form drop-down menu.